We understand elections are the foundation of democracy and good government. Elections must accurately reflect the intent of the electorate. Transparency, security, accuracy, privacy, and integrity are vital voter rights. The Elections Division of the office of County Clerk-Auditor-Recorder-Elections Department performs duties as mandated by state, federal and local laws. This division registers voters and maintains the voter registration files for the County of San Benito. It also administers and conducts all federal, state, county, school district and special district elections and administers and conducts municipal elections under agreement with each city. The division accepts for filing, and maintains for public access, campaign statements of candidates for each election and for elected officials required to file them. 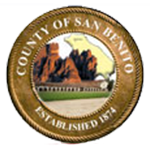 Click here to see the San Benito County Elections Department Social Media Policy Plan.